The 1974 ICF Canoe Sprint World Championships were held in Mexico City, Mexico in neighboring Xochimilco. This marked the first time the championships took place outside Europe. As of 2009 [update] , all championships have taken place either in Europe or North America. The lake was where the canoeing and rowing events took place for the 1968 Summer Olympics. Xochimilco is one of the 16 mayoralities or boroughs within Mexico City. The borough is centered on the formerly independent city of Xochimilco, which was established on what was the southern shore of Lake Xochimilco in the pre-Hispanic period. Today, the borough consists of the eighteen “barrios” or neighborhoods of this city along with fourteen “pueblos” or villages that surround it, covering an area of 125 km2 (48 sq mi). The borough is in the southeastern part of the city and has an identity that is separate from the historic center of Mexico City, due to its historic separation from that city during most of its history. Xochimilco is best known for its canals, which are left from what was an extensive lake and canal system that connected most of the settlements of the Valley of Mexico. These canals, along with artificial islands called chinampas, attract tourists and other city residents to ride on colorful gondola-like boats called “trajineras” around the 170 km (110 mi) of canals. This canal and chinampa system, as a vestige of the area's pre-Hispanic past, has made Xochimilco a World Heritage Site. In 1950, Paramahansa Yogananda in his Autobiography of a Yogi wrote that if there were a scenic beauty contest, Xochimilco would get the first prize. However, severe environmental degradation of the canals and chinampas has brought that status into question. The ICF Canoe Sprint World Championships are an international event in canoeing, one of two Summer Olympic sport events organized by the International Canoe Federation. The World Championships have taken place every non-Olympic year since 1970 and officially included paracanoe events since 2010; since 2012, paracanoe-specific editions of this event have been held in Summer Paralympic years. The men's competition consisted of six Canadian (single paddle, open boat) and nine kayak events. Three events were held for the women, all in kayak. This was the eleventh championships in canoe sprint. The 1948 ICF Canoe Sprint World Championships were held in London, Great Britain. This event was held under the auspices of the International Canoe Federation, formed in 1946 from the Internationale Repräsentantenschaft Kanusport (IRK). The 1963 ICF Canoe Sprint World Championships were held in Jajce, Yugoslavia. This event was held under the auspices of the International Canoe Federation. The 1970 ICF Canoe Sprint World Championships were held in Copenhagen, Denmark for the second time after hosting the event in 1950. This event was held under the auspices of the International Canoe Federation. Beginning at these championships, the event would be held on an annual basis in non-Summer Olympic years, a tradition that continues as of 2009. The 1971 ICF Canoe Sprint World Championships were held in Belgrade, Yugoslavia. The 1973 ICF Canoe Sprint World Championships were held in Tampere, Finland. The 1977 Canoe Sprint World Championships were held in Sofia, Bulgaria. The 1978 ICF Canoe Sprint World Championships were held in Belgrade, Yugoslavia for a record third time. The Yugoslavian city had previously hosted the championships in 1971 and 1975. The 1981 ICF Canoe Sprint World Championships were held in Nottingham, Great Britain. The 1982 ICF Canoe Sprint World Championships were held in Belgrade, Yugoslavia for the record fourth time. The Yugoslavian city had host the championships previously in 1971, 1975, and 1978. The 1983 ICF Canoe Sprint World Championships were held in Tampere, Finland for the second time. The Finnish city had host the championships previously in 1973. The 1985 ICF Canoe Sprint World Championships were held in Mechelen, Belgium. The 1986 ICF Canoe Sprint World Championships were held in Montreal, Quebec, Canada at the Notre Dame Island. This is also where the canoeing and rowing competitions for the 1976 Summer Olympics took place. The 1987 ICF Canoe Sprint World Championships were held in Duisburg, West Germany for the second time. The West German city hosted the championships previously in 1979. The 1990 ICF Canoe Sprint World Championships were held in Poznań, Poland on Lake Malta. The 1991 ICF Canoe Sprint World Championships were held in Paris, France. The 1994 ICF Canoe Sprint World Championships were held in Mexico City, Mexico for the second time at neighboring Xochimilco. The Mexican city had hosted the event previously in 1974 at the same venue that hosted the canoeing and rowing competitions for the 1968 Summer Olympics. 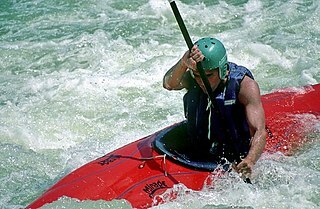 The 1995 ICF Canoe Sprint World Championships were held in Duisburg, Germany for the third time. The German city had hosted the event previously in 1979 and 1987 when it was part of West Germany. The 1997 ICF Canoe Sprint World Championships were held in Dartmouth, Nova Scotia, Canada on Lake Banook. The 1998 ICF Canoe Sprint World Championships were held in Szeged, Hungary. The 1999 ICF Canoe Sprint World Championships were held in Milan, Italy at the Idroscalo.